Jonas Hacker and Joseph Lattanzi strike it up in Fellow Travelers. For much of the last half century, the paranoia and tyranny of the McCarthy era in America has seemed more like a bizarre anomaly than an evil that could easily reappear. That makes the anti-communist and anti-homosexual panics that swept Washington, D.C., in the 1950s (and the witch-hunting investigations led by Wisconsin senator Joseph McCarthy that fueled them) resonant context for Fellow Travelers, a groundbreaking 2016 opera that sets a gay love story in the environment of both the red and lavender scares. Fellow Travelers is being presented by Lyric Opera's outreach arm, Lyric Unlimited, in a brief run through this weekend at the Athenaeum Theatre. It's based on Thomas Mallon's 2007 novel of the same title, which embedded a romance in a detailed, seriously researched account of the McCarthy years. 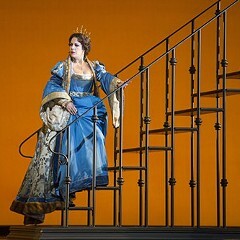 The opera, as it must, sheds most of the historical detail to focus on the love story. And that story is an old one: virgin meets cad. Timothy Laughlin (tenor Jonas Hacker) is a recent college graduate—an endearingly dorky, devotedly Catholic intern at a D.C. newspaper seeking a future in public policy. A chance meeting with Hawkins Fuller (baritone Joseph Lattanzi)— a dashing Harvard graduate, state department careerist, and serial seducer—lands him a job on a senator’s staff and introduces him to the exhilaration and heartbreak of first love. It's a familiar plot, but not one usually encountered in opera as boy meets boy. Laughlin's heartbreak is multifaceted: attributable not only to his lover's betrayal and a personal religious crisis, but also to a culture of persecution in which survival depends on constant, furtive duplicity. 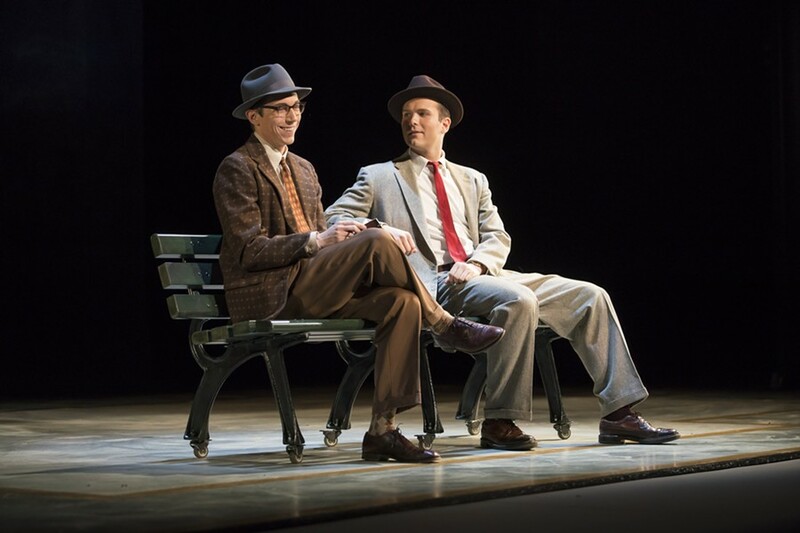 To the credit of librettist Greg Pierce, composer Gregory Spears, and director Kevin Newbury, the malice of that lavender scare environment still comes through. Fuller, for example, is such a consummately cool character he can ace a lie detector test, but the interrogation we see him subjected to—which includes a ludicrous evaluation of his gait and diction—is galling. 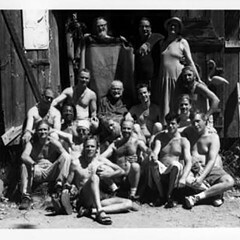 As Newbury notes in a director’s statement in the printed program, more than 5,000 people lost their jobs after a 1953 presidential order that branded homosexuals as security risks and purged them from federal employment. Spears incorporates the theme of duplicity in the music, using repetitious minimalism in the orchestral score to represent the political and cultural "surface" world, and meandering, often lyrical, vocal lines—inspired by medieval troubadours—to express the emotional life roiling under that surface. You won’t go home humming this music, but it works. Sets are spare but effective (a bench, a bed, a set of file cabinets), and performances are strong all-around, especially by the two leads, but also notably by Devon Guthrie as Laughlin’s loyal and wary friend, Mary, and by Will Liverman and Vanessa Becerra as denizens of the senator’s office. Daniela Candillari conducts the 16-piece orchestra. Fellow Travelers Through 3/25: Wed and Fri 7:30 PM, Sun 2 PM, Athenaeum Theatre, 2936 N. Southport, 773-935-6860, athenaeumtheatre.com, $29-$75.